What happens when an officer pulls over an Robot Taxi or an autonomous car and there's no driver? This has happened already. However, real laws haven't been worked out yet. Surprisingly, this has already happened November of 2015. 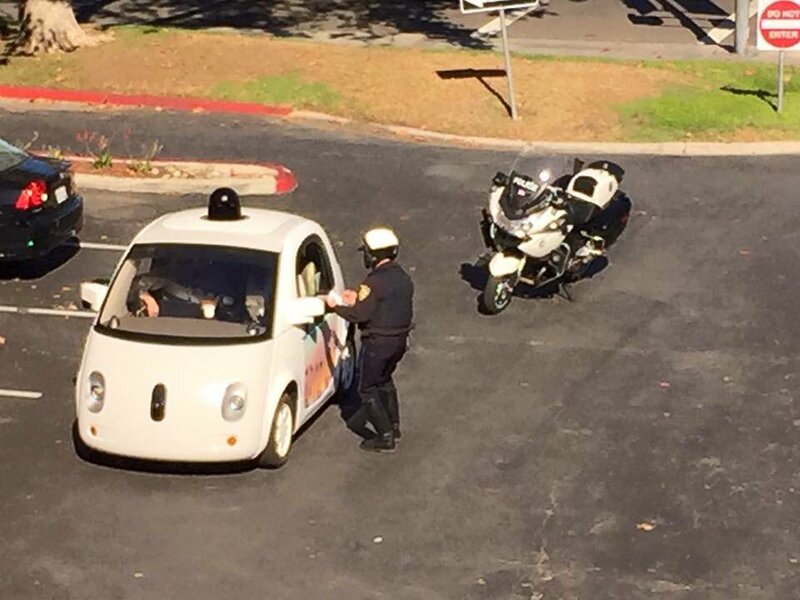 A Google's self-driving car was driving too slowly (25mph) in a 35 mph, and an officer pulled "it" over for driving too slow and impeding traffic. Of course, the officer was surprised to see that there was no one inside the car driving it. According to Bryant Walker Smith, an assistant professor in the School of Law at the University of South Carolina and an expert on the law of self-driving vehicles, California law allows Google to test its cars on public roads, provided there is a human operator. And so in the event the car is pulled over for a violation and a ticket is issued, the person who Google (or the responsible company) has designated as the operator would be responsible for the ticket, Smith said. Now, what happens in the future if there were no passengers at all? Well, our friends, that law has not been written yet. What an excited world we live in.